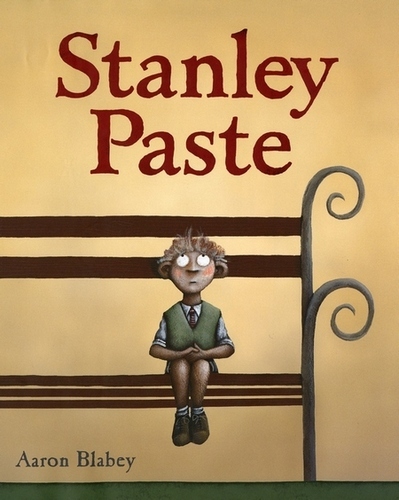 Meet Stanley Paste, a little boy who hates being small. Stanley is less than the average height and is keenly aware of his ‘short comings’. 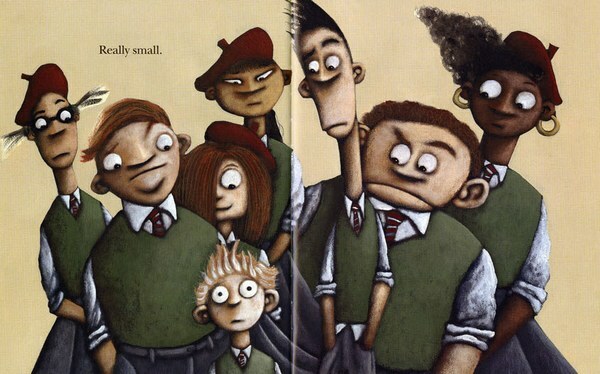 Then a new girl arrives at Stanley’s school – Eleanor Cabbage is tall, much taller than average and Stanley is impressed. However, to his surprise, Stanley discovers that Eleanor hates her height as much as he hates his. Although this story could be a simple tale of ‘the grass is always greener’ or ‘be careful what you wish for’, it takes a different turn. What embarrasses Stanley and Eleanor the most is also what unites them and they soon discover that differences don’t matter when you are having fun with a friend. The simple text in Stanley Paste gives away very little of the humour. Instead, the fun is all in Aaron Blabey’s distinctive illustrations from Stanley’s ‘short-falls’ (trying to reach the door of the boy’s toilets and not being able to see in the cinema) to Eleanor disguising herself completely behind the trunk of a tall, straight tree. Stanley Paste is Blabey’s third book for children. His previous stories, Pearl Barley and Charlie Parsley and Sunday Chutney won a swag of nominations and awards – Stanley Paste will surely follow suit. Stanley Paste is available online from Fishpond for $24.99 or from most book retailers.